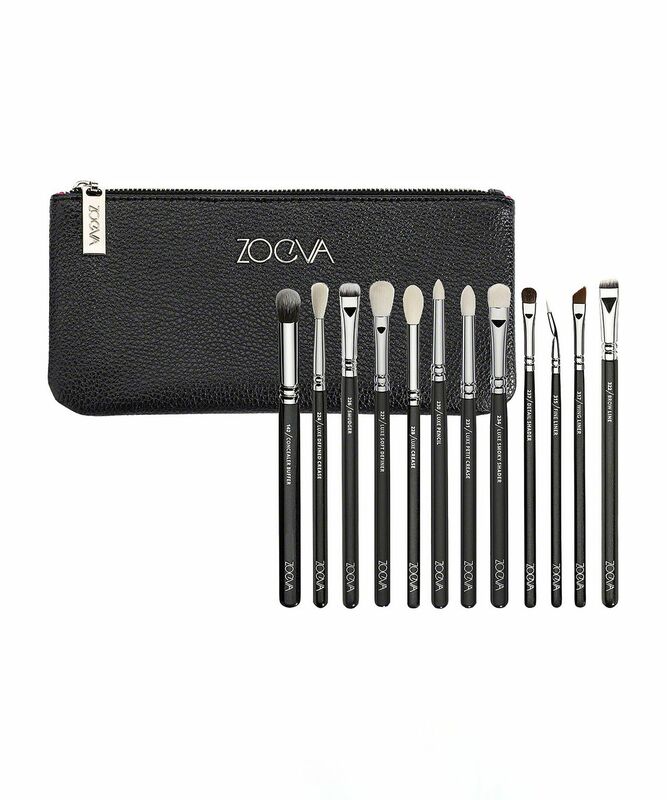 ZOEVA’s Complete Eye Professional Brush Set is an exquisite kit with every eye brush imaginable to conquer the smoky eye look like a pro. Brushes feature chic black handles and eye-catching silver aluminium ferrules, with all brushes encased in a smart black brush case. There are 12 brushes to delicately buff in under-eye concealer, define the cut crease, smudge your eyeliner, and blend pigment into the smallest creases of the eye – as well as create a gorgeous cat’s eye flick, and take your brows to Delevingne’esque proportions. I LOVE this brush. Good quality. This is the first time that I have ever used a proper eyeshadow brush set. I have nothing to compare it with. It's not for everyday use for me. I occasionally use them. But so far so good. The quality of these brushes are really great and I absolutely love them. Soft and easy to blend eyeshadows. So much to chose from. Washing is so easy, they dry in perfect shape. I love these brushes - especially the natural hair ones that blend out your shadow like a dream. The concealer buffer and brow brush are great too. ZOEVA are by far my favourite brushes. I find them to be of the same if not better quality than MAC. This set is perfect for someone looking to build up their brush kit and really has everything you need to use a variety of techniques. I love the concealer buffer brush for perfecting any small areas around the face such as the nose and perfect for blending out spot concealing. I will continue to expand my brush collection with ZOEVA! Brushes are so soft and helps blend out eyeshadow beautifully! I really recommend them. I had this set on my wishlist for 9 months before finally deciding to treat myself. I'm so glad I did! I absolutely love them, they make such a difference with my eyeshadow application. 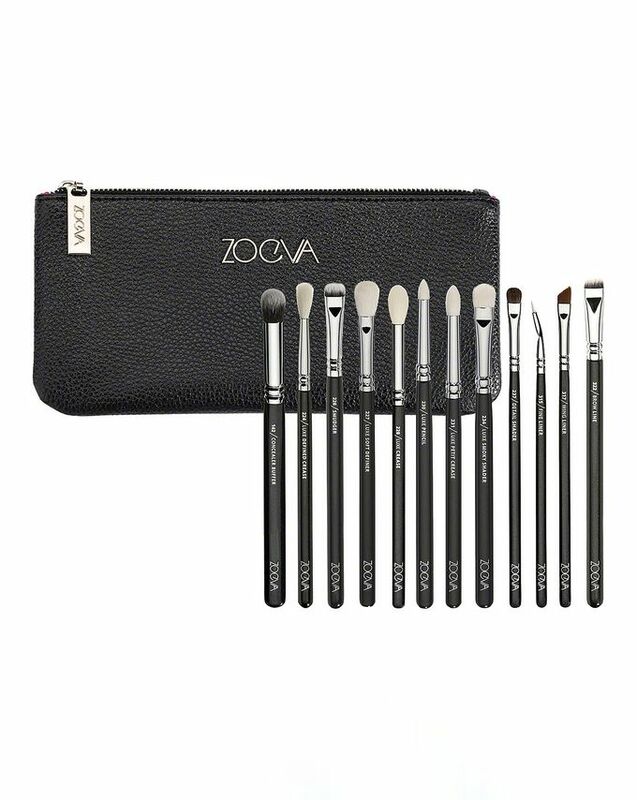 I'm a big Real Techniques fan and do still use my RT brushes but for detail and getting more definition, the Zoeva are definitely first choice. Very good quality and great set of eye brushes. I haven't used the eyeliner and eyebrow one yet but all the rest I like. Worth the money. So so so good, my fave brushes! The case is so luxurious aswell! Kind of disappointed with the blending brushes in this set with paying £60 It should be a given that all the brushes are up to standard but no. I’ve only used the 224, 227 and 228 twice and tried to clean it and already the bristles/hairs are damaged and coming out of place. I’ve had a Stila blending brush for over 2 years, it has been used and cleaned so many times and there is only one hair out of place. I received these brushes today and within half an hour I'd tested them all out and they are incredible. Not scratchy at all; they are so soft and lovely to use. They came beautifully shaped and have not shed. The handles are lovely and solid with a good weight to them and they aren't flat black - they have a slight glitteriness to them which makes them feel special. The whole set feels really high quality and well made, including the clutch bag they come in which is gorgeous. Each brush does its job fantastically well, and having the set meant that I had everything I needed for a full on eye look. I used these with Kat von D shadows which can be tricky to blend out (especially the darker shades) but not with these brushes! They eliminated any problems I've previously had with the same shadows and I can't wait to play around with them more. I have a MAC 224 and I found Zoeva's equivalent to be much nicer and more effective to use. Excellent brushes for an amazing price: what more can you ask for?